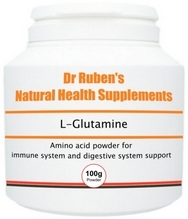 L-Glutamine, the natural form of glutamine, is critical for a number of biological processes. It is also one of the few amino acids that directly crosses the blood-brain barrier - a separation of circulating blood and the brain extracellular fluid in the central nervous system. It is synthesised from 3 other amino acids, namely ornithine, arginine and proline. 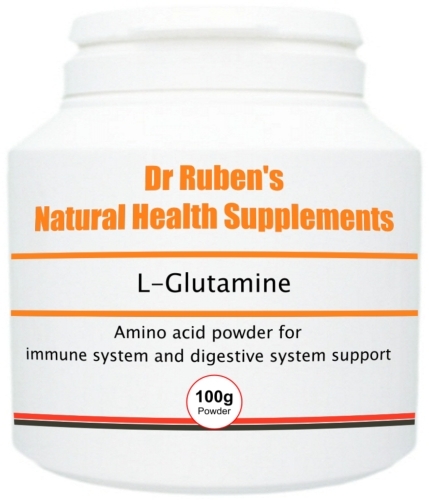 In the body, L-Glutamine is found circulating in the blood, as well as stored in the skeletal muscles. muscles and bone growth, repair and maintenance. people with joint conditions or arthritis.